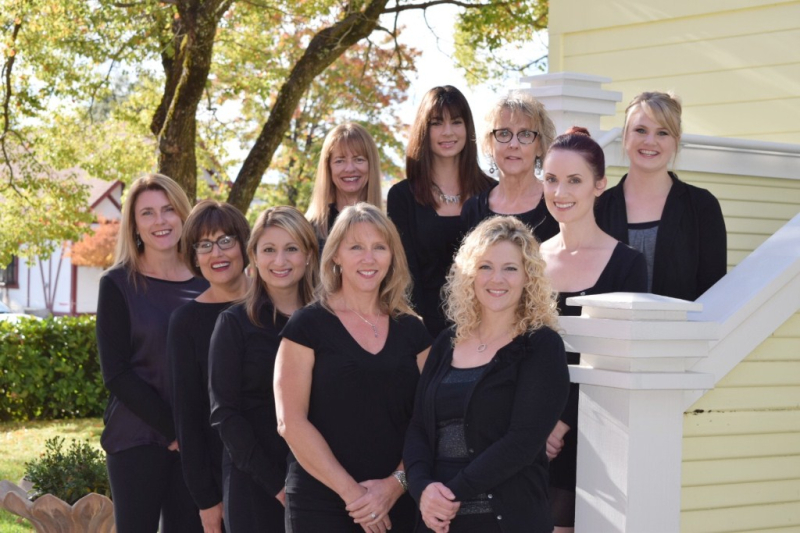 Bella Moda is a full service hair studio, providing the most current hair, nail, and spa services just footsteps from downtown Cloverdale. Manicures and pedicures are avaliable in our serene solarium. Our spa services include facials, skincare, and waxing in our beautiful spa rooms. We specialize in Keratin Complex Smoothing Treatments, and offer Deva hair services for our curly clients. Our Bridal packages are extensive, as we offer prewedding skincare, updo/make-up trials, and on site services. We are located downstairs from the beautiful Main Street Vacation Home. Call us to coordinate your hair and spa treatments with your next visit. Bridal parties and groups are welcome. Please call or contact us, so we can put together a custom package for your special day. If you are staying at the Main Street House, or one of our local inns, please let us know your arrival and departure days, and your preferred appointment times so that we can best coordinate your stay.